Writing about multi-effects processors is like politics; you’re bound to piss somebody off. First, there’s those who consider themselves ‘purists’ who grind their teeth whenever they see you have a pedal that produces more than one type of sound and spit in your face if you even mention “amp-modeling.” Then, there are the guys out there who’ll box you BloodSport-style over what brands produce the purest sounding Marshall JCM 800. Well, at The Tone King, we’re not out to hurt nobody. So, in true TTK fashion, we’re just going to give you the low down on two of the biggest names in amp-modeling out there and let you take it from there. , cleaned them up, and cranked them up. 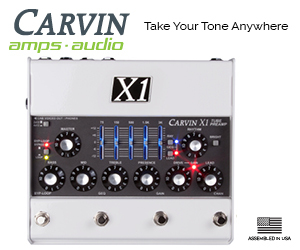 also give you the option to change cabinets and microphones, giving you a broad horizon of tones.
. And with 128 presets, it’s ready to rock out of the box. Finally, there is one component that I don’t think gets enough press and that’s the easy interface for computer-based applications. That’s not to say it hasn’t been done before, but Line 6 seems to be leading the charge in this area. 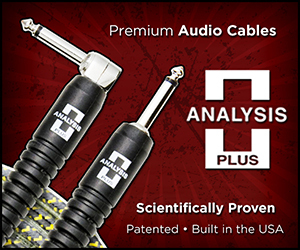 With a USB port and downloadable software, you’re capable of direct recording and editing with ease. Watch the Video Shoot-Out by clicking here. Subscribe to receive email updates from TheToneKing.com! Since their first pedal debuted before I was even a glimmer in my father’s eye, Boss has been a mainstay of rock guitar for a long time. Remember when I mentioned the guys who’ll quickly beat you into a pulp for bad-mouthing their favorite brands? Well, this is one of those brands that will inevitably pop up. Even now, you’ll still see a Boss delay in nearly every rocker’s pedalboard. boasts Boss/Roland’s own COSM technology. Composite Object Sound Modeling emulates different environments in order to reproduce tones after they have moved through different mediating objects, all of which significantly alter the original tone. Simply put, as sound travels, it bumps, moves around, or moves through a bunch of stuff. When it does that, it changes what the sound sounds like. Imagine when you get angry at your rig because it doesn’t sound as good at the club as it does when it’s in your basement. COSM technology takes these variable and mediating objects into consideration in modeling, virtually reconstructing them as part of the emulation process. In addition to COSM technology, the ME-70 has 46 different effects and 36 different presets. And this seems to be the fav of the fanboys. While they seem to think the modeling is “good” they exclaim about the quality of the individual effects overall. Many of the old Boss favorites are here and sound just as good as they ever did. If you know The Tone King by now, you should know not to ask that question because the answer will always be the same. “It depends.” Are you interested in old-school Boss pedal tones? When you think of delay, do you nastalgia for that old blue and white DD3? The ME-70 acts like a pedalboard filled with stompboxes. Well, you can figure it out from there. With amp modeling, the Line 6 POD HD300 has more choices than the Boss, 16 compared with 7. Besides, the ME-70 models are stagnant. The HD300 gives you more versatility with the amp models. Also, if you’re planning to do any direct recording or editing with a computer interface, you best go with the Line 6 because the Boss doesn’t even have a USB output. 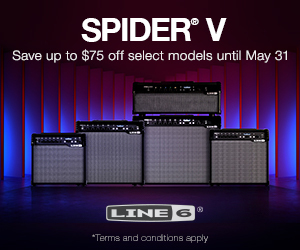 While the COSM technology works well, the time that Line 6 put into their HD technology seems to have paid off.